Lanzarote bodegas did well at the prestigious Bacchus Awards recently. Bodega Vulcano won the top award for its 2016 sweet wine, and El Grifo won a gold for it’s Canari sweet wine and a silver for it’s Lías white. The Lanzarote Ensembke, backed by The Cabildo sold out St Paul’s at Covent Garden in London last week – their first performance abroad. They were conducted by Brit James Blair and the concert was attended by President of the Cabildo Pedro San Ginés. The town of San Antonio is Texas, now the 7th largest city in USA was founded by settlers from Lanzarote. 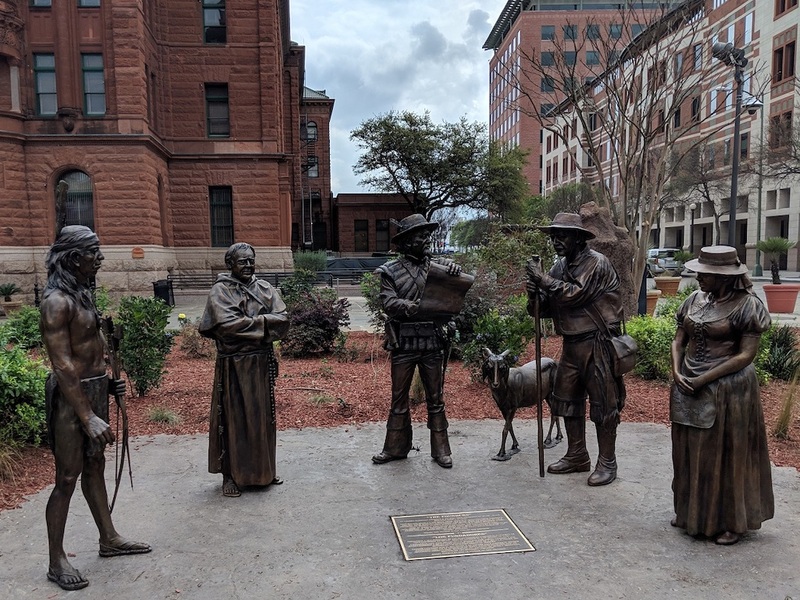 A new set of statues have been erected in Canary Square in the city, depicting Canarians in typical clothing, a native American, a priest and a soldier. The image above is of the statues. The town was settled in 1731 by 56 people from Teguise and San Bartolomé. 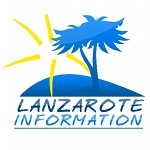 A 35 year man was arrested in Fuerteventura for various burglaries in Playa Blanca this week. The man, with the initials DMG was searched by Guardia Civil boarding the ferry to return to Fuerteventura. They were suspicious at the some of the items he had in his possession, but had no evidence at the time, so they released him onto the ferry. In the meantime, they checked and identified the items against crime reports in the resort and found a clear link. He was arrested by colleagues on arrival in Corralejo. A new radar system for Lanzarote and Fuerteventura’s air space went live this week. The new system can “see” about 250 nautical miles and replaces the old system which went live in the year 2000. It uses the latest state of the art technology and has failsafe back up systems. The €2.5 million was co- funded by the EU. A fight which broke out on a Ryanair flight from Glasgow to Tenerife was filmed by other passengers and has gone viral. Despite departing at 6AM, it appears that the two British men involved were drunk when they started their argument. One bit the other’s nose severely, spraying blood around the aircraft. Both were arrested when the aircraft landed in Tenerife. After just one month, work stopped on the planned Atlantic Park in Playa Blanca. This is because the company originally awarded the contract, Tecyr Construcciones y Reparaciones, requested new terms. Their bid was significantly cheaper than the other 6 competing bids. The Ayuntamiento has decided the re-run the tender process. The park was due to be completed later this year. The project to use electric, self driving coaches on the volcano route in Timanfaya is going well. Digital mapping has been completed and the data used on a test vehicle successfully. The new coaches will use GPS, stereo cameras and LIDAR to negotiate the route. It’s hoped that the services will start in May 2020. Probably not a surprise to anyone, but the proposed new letting law for the islands has been postponed after a “lack of consencus” in the debate. It will now become part of the agenda after the upcoming elections. The court case regarding the illegality of Bodega Stratvs will begin in September. Twelve people have been indicted, most are politicians and technicians from Yaiza Ayuntamiento. Juan Francisco Rosa, the businessman who set up the bodega is also indicted and the prosecution has called for a 15 year jail sentence for him. The cruz of the case is that the original licence was granted to restore a protected property and to build a 900 square metre warehouse. In the event, the property was torn down and a 12,000 metre complex was built.